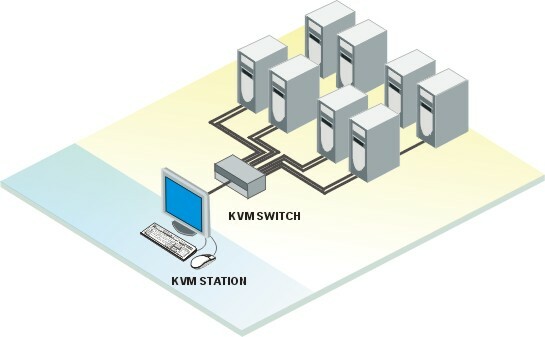 The Rose Vista (KVL-8UA) family is the KVM switch of choice for small or home offices wanting to use a single keyboard, monitor, and mouse to access two, four, or eight computers. Designed for plug-and-play operation, Rose Vista (KVL-8UA) switches reduce equipment clutter and save space. Vista switches are available in three models: The smallest, the Vista Mini 2-port switch, supports audio and has high resolution video (350 MHz). The 2 and 4-port (1U) Vista M-Series switches are rack mountable and support both PC and Apple computers. The 4 and 8-port (1U) Vista L-Series switches are also rack mountable and offers on-screen-menu for larger applications. The Rose KVL-8UA is manufactured in Huston, Texas (USA).